 To distinguish a moving target of a fixed object with help of the Doppler frequency, at least two periods of the deflection must be compared with each other. Since the Doppler- frequency (few Hertz) is small relatively to the transmitted frequency (much Mega-Hertz), therefore a phase comparison is more easily to carry out than a direct frequency comparison technically. The storage of a deflection is carried out in suitable memory media, in the past in special analogous vacuum memory tubes, later also with a chain of condensers (distance: digital, signal: analogous) and today only in digital memory cells. Well, a fixed target suppression happens by the phase comparison of the echoes received by several pulse periods (pulse- pair processing). If the phase relationship is always equal, then there isn't any phase difference and the target will be suppressed. 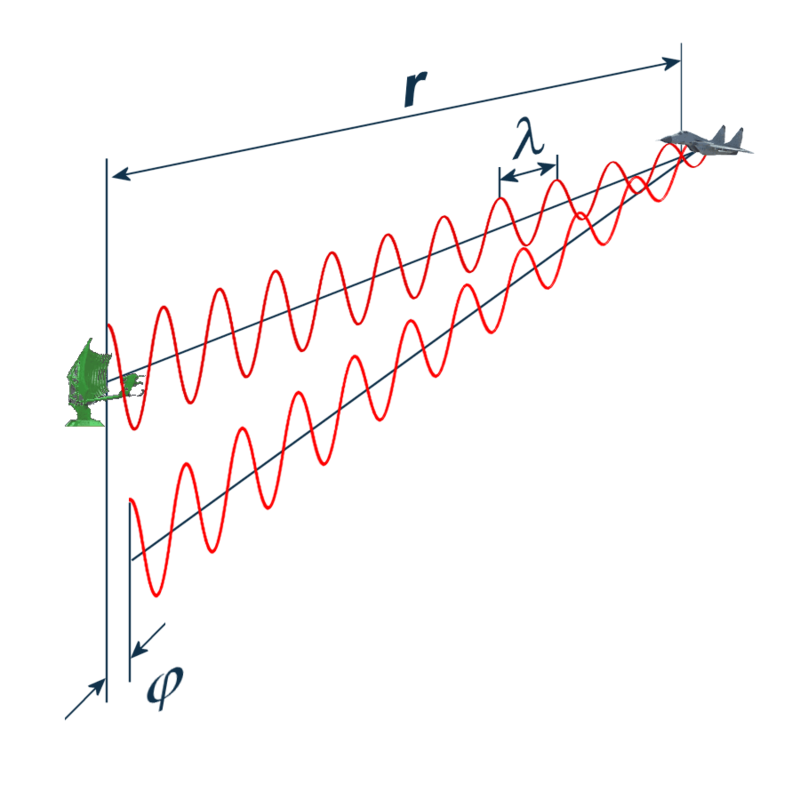 If the target has moved, the phase difference is unequally zero and the target will be shown on the screen. To get the necessary frequency-reference for the phase-detector, a high correct coherent oscillator (called: “Coho”) is synchronized with the down converted on the IF- frequency transmitting pulse. The echo signal of a moving target at the output of the phase-detector changes it's value and also the polarity in every pulse period. A fixed clutter signal will keep it's value and polarity in every pulse period.